How did people feed their kids before smoothies came along? They are the perfect vehicle for the nutrients children need the most—like calcium, fiber, and vitamins—all blended up into a sweet, slurp-able package. I make smoothies for my two kids almost daily, especially for breakfast and those afterschool “I’m starving, Mom!” moments. My freezer is always stocked with frozen fruit, ready to be tossed into the blender whenever we need it. 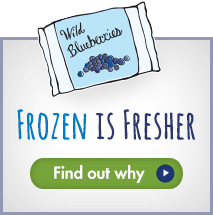 Available in the freezer section right alongside other frozen fruit, Wild Blueberries are brimming with just-picked nutrition (they’re flash-frozen within 24 hours of harvest). 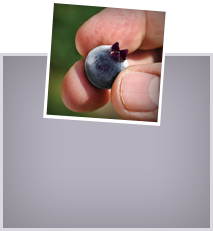 They boast a gorgeously bright color that just pops, an intense taste that’s part-sweet, part-tang, and twice the antioxidants of regular cultivated blueberries. 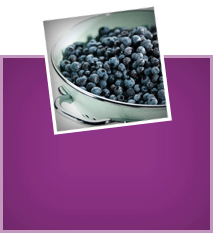 Wild Blueberries are especially good for kids because not only do they deliver more than a quarter of the fiber per serving that kids need every day, but they’re also loaded with brain-building plant compounds. In a recent study, children ages 7-10 scored better on tests of memory and concentration, like remembering words from a list and ignoring distractions, after drinking a beverage made with Wild Blueberries. The researchers say it may be because of Wild Blueberries’ high concentration of anthocyanin, the pigment that makes the berries so blue. I like using kefir in smoothies because it brings calcium and a special probiotic punch (kefir is a fermented milk drink usually stocked in the dairy section). 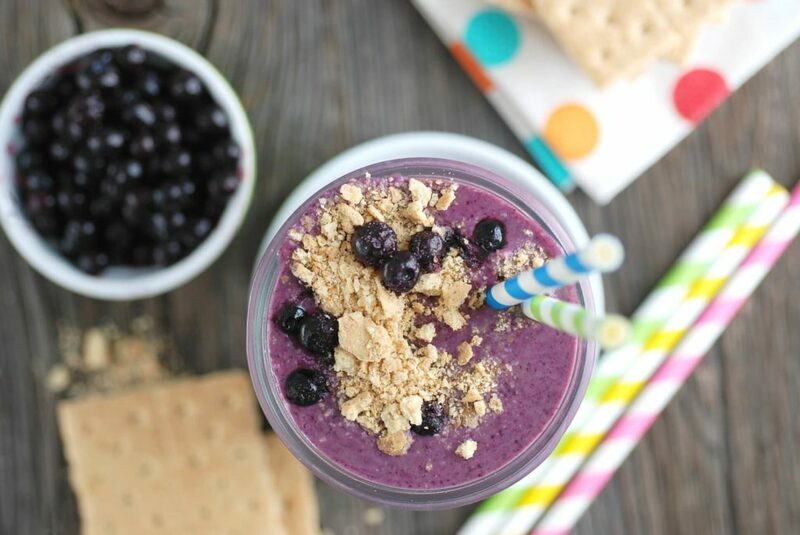 For this smoothie, I added kid-favorite graham crackers to lend thickness and extra sweetness to balance the tang of the kefir. And because Wild Blueberries have such a vivid hue, a handful of fresh, iron-rich baby spinach just disappears into this drink. I’m happy to report that from the very first sip, this smoothie instantly got the coveted double thumbs-up from both of my kids. Whether you blend up this nourishing smoothie before school or serve it at snack time, I hope you and your kids love it too! 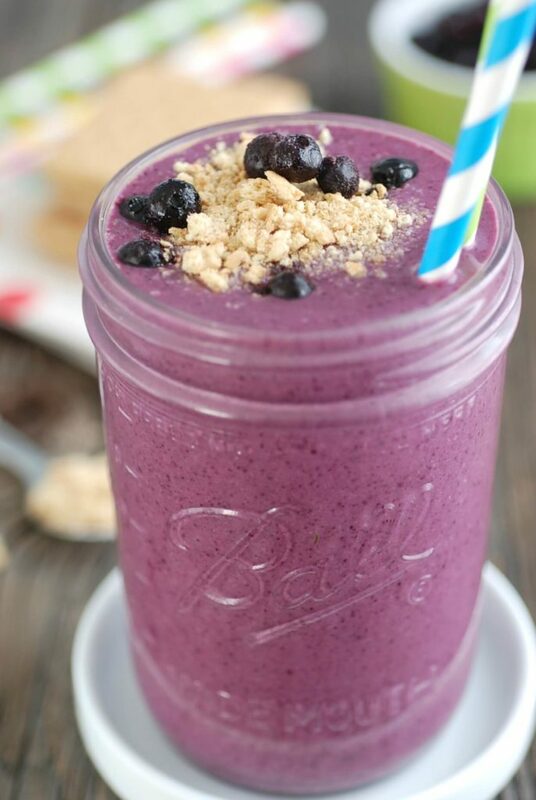 Divide between two glasses and garnish with graham cracker crumbs and Wild Blueberries if desired. Sally Kuzemchak, MS, RD, is a registered dietitian, author, educator, and mom. She blogs about feeding kids and staying sane at Real Mom Nutrition. She’s also a blogger for Parents magazine. 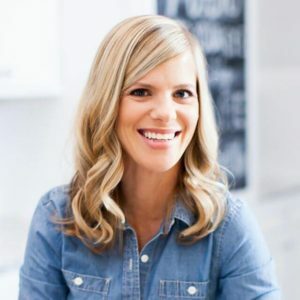 Her work has been published in nearly 20 consumer magazines including Eating Well, Health, and Prevention and she collaborated with Cooking Light on a cookbook for busy families called Dinnertime Survival Guide. She lives in Columbus, Ohio with her husband, two sons, and one dog. Not only for childen, Sally. This looks delicious even to me! 🙂 Blueberries + kefir + banana = great start for a day. Would it affect the taste to use a small jar of baby food spinach instead of fresh? 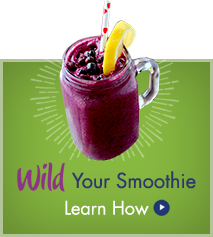 How many calories are in your Wild Blueberry Kefir Breakfast Smoothie?